Like many other technology-minded people, I've watched the saga of the Juicero $400 (down from $700) juice bag squeezer with amusement. buying a cup of juice in a bag for $5 seems like a bad business plan (and many others have already discussed that). I'm more fascinated with the juicero machine itself. AvE did a thorough teardown of the machine, so watch his video for the gory details. In short, the insides of the machine are a thing of beauty, and much too expensive for getting people hooked on a $35 a week juice subscription. Ben Einstein at Bolt.io also did a detailed teardown of the Juicero, again pointing out how beautiful and totally over-engineered this machine is. He estimates the juice pack is seeing 64psi load in order to get the juice out. 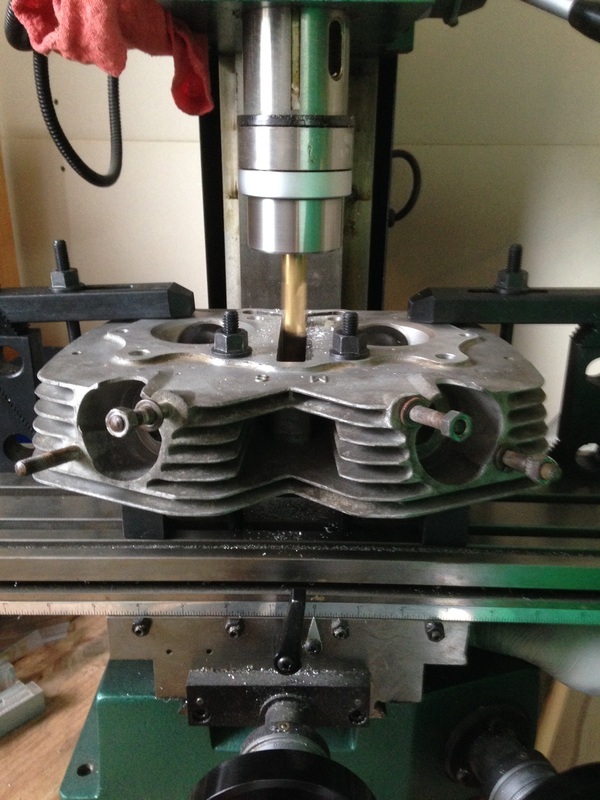 Part of the failure of this whole endeavor is that the machine was so damned expensive! This was an attempt at a "razor and blades" model. Razor and blades is used many places where there's a consumable component; K-cup coffeemakers (allegedly the inspiration for the Juicero), actual shaving razors, computer printers, old polaroid cameras, some video game systems. The whole premise is that you give away the razor, or sell the coffeemaker (or printer) at a heavy loss to get people to then buy the very profitable blades (or printer ink) forever. But if you make the machine too expensive, this doesn't work. And this thing is PRICEY! So many CNC-machined components, massive gears, thrust bearings, tapered roller bearings, dowel pins, etc. All of these things are wonderful and expensive. 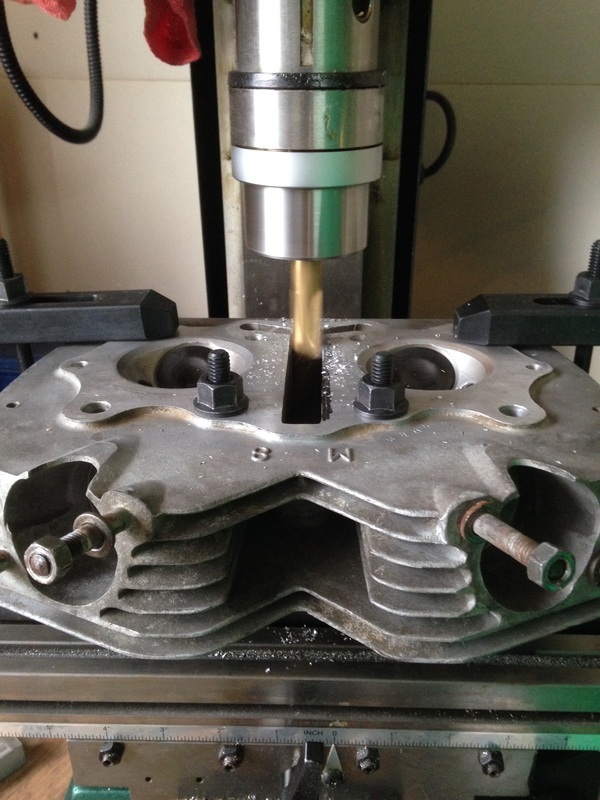 These are how you build one juicer, for a lab, to test juice bag production variability. To see this sort of stuff in a high-volume production item...yeesh. Apple gets away with this in their laptops because it's an aesthetic they're going for, and they're recycling their own super-machinable castable alloy of aluminum to bring it down from "totally bonkers expensive" to merely "high end". To get to why the Juicero provides several tons of crushing force, we need to step back and take a hard look at what the machine is supposed to do. ​To crush a juice bag? No. See AvE's video above of a normal human squeezing juice out of the bag by hand. To get the juice out of the bag? Yes! To get the juice out of the bag in a "reasonable" amount of time? Very Yes. This is where the designers went wrong. Remember, the goal is to get the juice out of the bag. A 330VDC motor running through a reduction geartrain to a massive Acme screw to put 4 tons of force onto a bag of juice, plus another massive plate to react the 4 tons of force on the other side, all adds up to brute force and ignorance. Very forceful brutality, and beautiful, blissful ignorance. How else might this have been approached, in a clever way? Don't offer a machine at all, and have the customers squeeze the bags themselves. This has been shown to work in videos all over youtube. Redesign the bags if necessary to make them even easier to squeeze. After all, the bags are where the money is. Often the best design is not to design anything. Make a toothpaste squeezer (which is what AvE suggests in his video). At this scale, you could call it a clothes-wringer, which was a mature technology in 1905. The level of complexity goes way down. Again, the bags could be redesigned to work in a clothes-wringer, like adding barcodes to the bags so the machine can "see" how close it is to the end of the bag. Use a miniature hydraulic pump to squeeze a water bladder at 64psi against the bag. A tiny peristaltic pump (like what's inside the water flosser in your bathroom) can get to 64psi with no sweat. "But what about the 4 tons of resultant force, how are we handling that?". 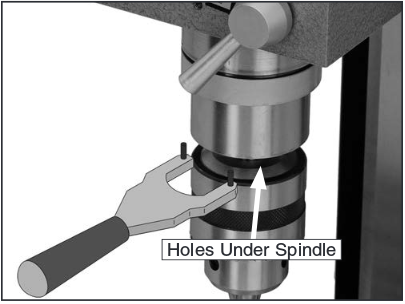 Build the machine to be cylindrical and then you're just talking about a pipe, which can handle 64psi very efficiently. Or as a variation, if 40psi (municipal line pressure) would get enough squeeze, make a fitting to attach a hose for the water bladder straight to the sink and just turn on the sink. None of this addresses the zeroth question here of "How many people want to pay $35 a month for juice at home? So you break open the Mil Standard, and start going through the steps. And by "steps", I mean the standard lays out, step by step, how to establish a sampling plan. We choose a verification level of 3, which is the most stringent, and decide to test batches of chili five thousand cans at a time. From Table 1, level 3 with 5,000 cans gives us Sample Size code M.
Table 1 of Mil-Std-105E, which shows sample size codes for different lot sizes and inspection levels. From there, we choose an Acceptable Quality Level of 0.25 (0.25% of cans can have ratmeat, because it won't actually kill​ the consumer), which by Table 2 means we will take 315 samples and will accept the whole batch as long as two or fewer samples are contaminated. We will reject the whole batch if three or more samples are contaminated. 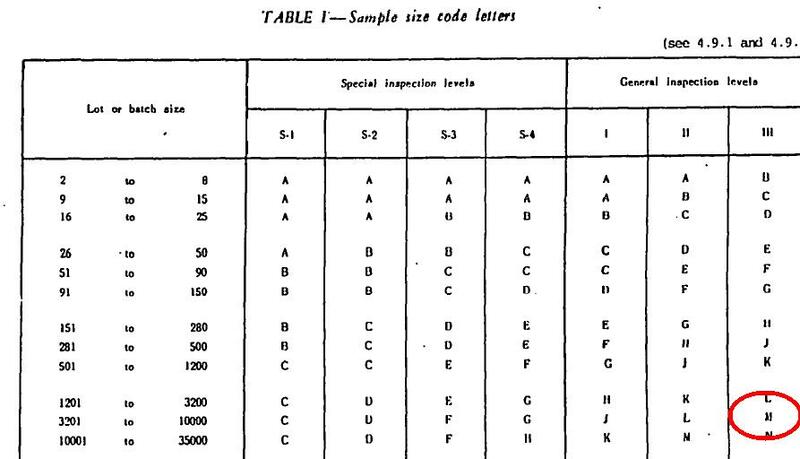 Table 2 of Mil-Std-105E, which shows specific sampling plans for given sample sizes and AQLs. So this is all good if you're the chili producer, and want to keep your chili relatively rat-free. But what if you're a grocery chain, and you don't make the chili yourself, but rather put your name on somebody else's chili? Accepting 2 in 315 won't get the chili factory to do their best job, and you don't know what the factory is doing to keep rats out. ​What you can do is use a more stringent sampling plan, like what's described in Mil-Std-1916 "DoD Preferred Methods for Acceptance of Product". Mil-Std-1916 has the sort of sampling plan you might want if you were buying canned chili mac, and didn't have control over the chili factory itself. Essentially, start with all the sampling plans in Mil-Std-105, but only use the ones that reject the lots if there are any cans with ratmeat in them. 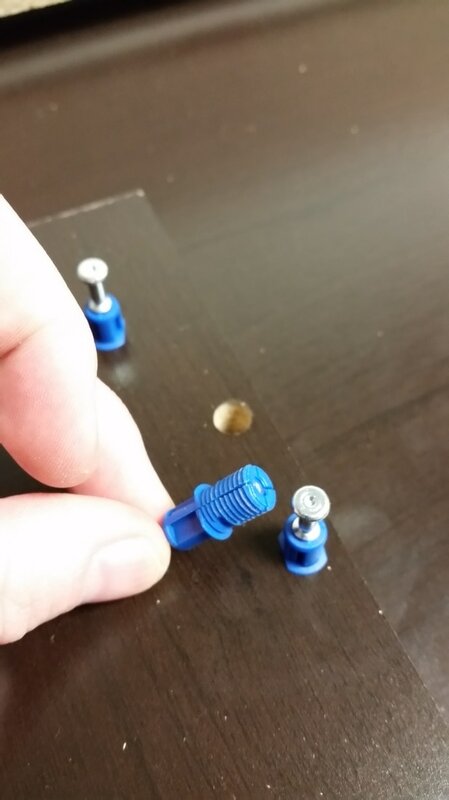 While assembling a flat pack desk, I found this really neat cam lock studs. 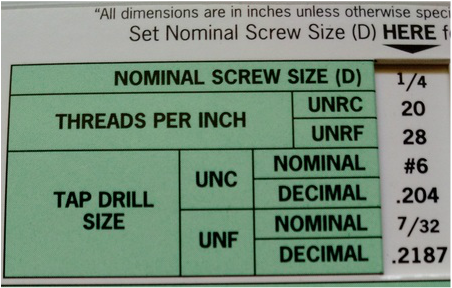 Most of the connections in IKEA-type furniture uses cam lock screws and nuts. So for IKEA lock screws, the blue part here would be threaded, and there would be a recess for a Phillips head screwdriver on the stud end. This stud, on the other hand, uses a taper to to expand the blue sleeve as it's pulled. ​I don't know whether the radial compressive load into the particle board will hurt anything, but it's gotta be higher than the induced radial load from threads. ​The problems one might encounter in use are probably that these will not pull two faying surfaces into intimate contact, which a regular IKEA threaded stud will do. Provided the surfaces are already in contact, these should work pretty well. 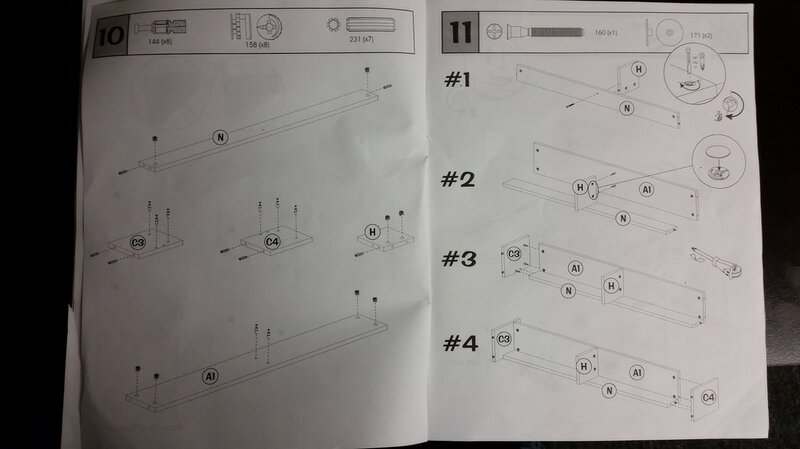 These are instructions for a flat pack desk, and​ there's much to dislike about them. On the left hand side, we see that the unfortunate builder of this desk is instructed to assemble five separate pieces of the desk, then set them aside. In practice, this means the builder will need space not only to build the desk itself, but also space to store the pieces he/she has assembled early. This is on top of the extra therbligs needed to put down, locate, and then pick back up the pieces built prematurely. ​For the curious readers, these weren't IKEA instructions. IKEA does two things very well; instructions, and meatballs. 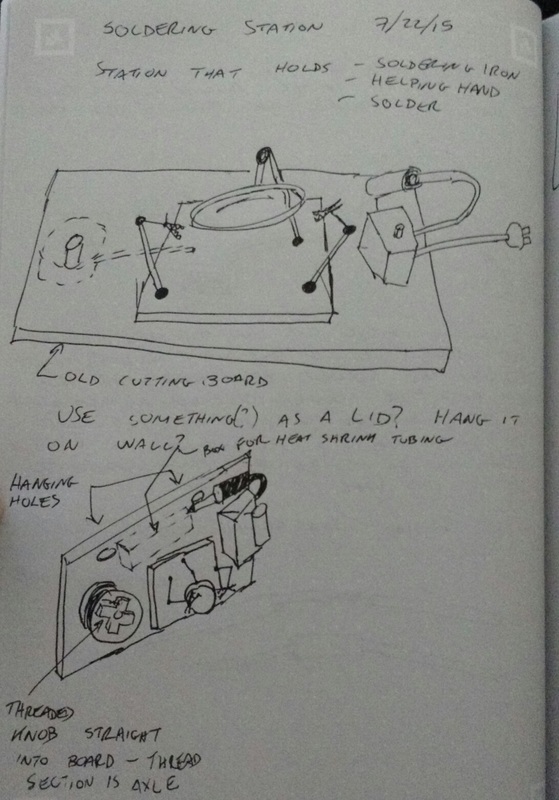 One of my mentors gave me several books he'd found valuable as a machinist, before he became an engineer. As a corollary to this, cosine equals one at small angles. This can be derived by taking the Taylor series expansion of cosine; as the angle approaches zero, the higher ordered terms drop out and you get cosine=one. So we know that at small angles sine is about equal to theta, and cosine is about equal to one. And we remember that sine over cosine is tangent. We can then make the reasonable assumption that for small enough angles, the tangent ought to be equal to the angle. Or linear with the angle, anyway. 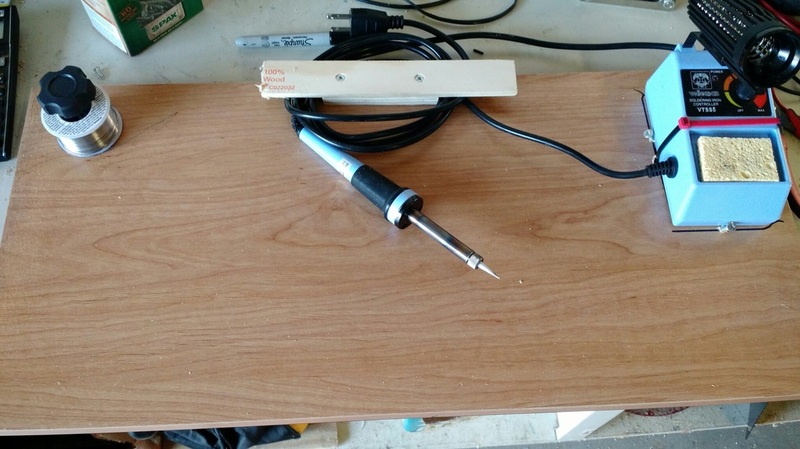 Back to tools: we need to measure angles, and all we've got are rulers. We could try some really fancy trigonometry (like land surveyor level stuff), but the angles are all relatively small with cutting tools, so all that small angle business still just screw up the numbers. However, Mr. St. Clair comes to the rescue with the small angle approximation. He shows that between 0° and 20°, the tangent of the angle is approximately equal to the angle (in degrees) times .018. Within this range, the tangent will be correct to within 1/3rd of a degree, which is pretty good. But since we have spreadsheets, which Leo St. Clair probably didn't have in 1953, we can double-check his math. What I did was plot the tangent function from zero to 25 degrees, and then plot Leo St. Clair's approximation (.018 x theta), and the percentage error. From the plot, we can see that .018 times theta is within about 3% of the real tangent for angles up to 25 degrees. So there you have it! 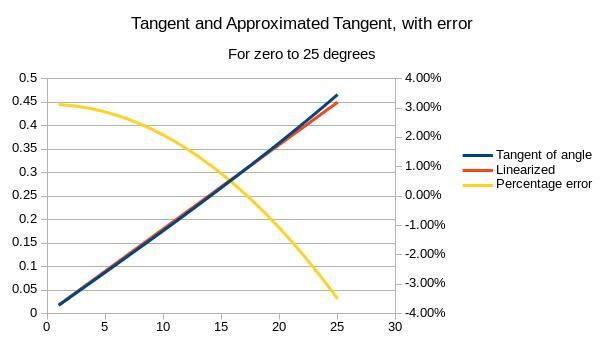 Up to 25 degrees, you can safely linearize tangent, and all your mental math becomes much simpler. The MIL-STD-1913 “Picatinny” rail is present on almost all current-production AR-15s, as well as numerous other rifles, shotguns, and pistols. This rail is used to mount sights, lights, grips, lasers, and pretty much anything else that could conceivably be mounted onto a gun. 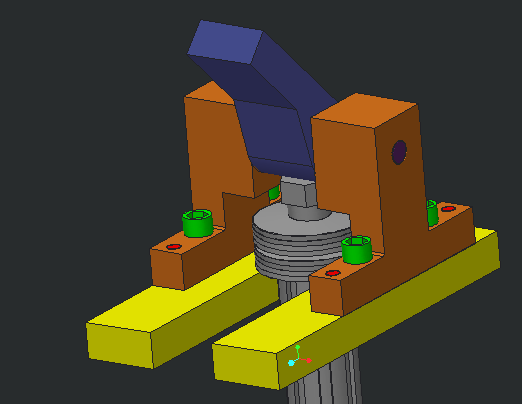 In 2009, this design of rail was superseded to an extent by the STANAG 4694 NATO Accessory Rail. In the following, I’ll look at the changes from the MIL-STD-1913 rail to the STANAG 4694 rail, and explain what they mean from an engineering drawing/inspection perspective. I’m writing this article because the existing literature I can find (the wikipedia article about STANAG 4694, and some associated presentations on the NATO website) don’t provide detail into the rationale for the change; I think we can infer some rationale for the changes. Additionally, the articles in the gun media that I can find don’t seem to understand the changes, beyond the cursory summary given on the NATO website. The datum schemes for MIL-STD-1913 and STANAG 4694 are also very novel; these sorts of datum schemes are not often seen in GD&T textbooks. Finally, we can also see how STANAG 4694 incorporates obsolescent features to maintain compatibility with the “legacy” MIL-STD-1913 rails. 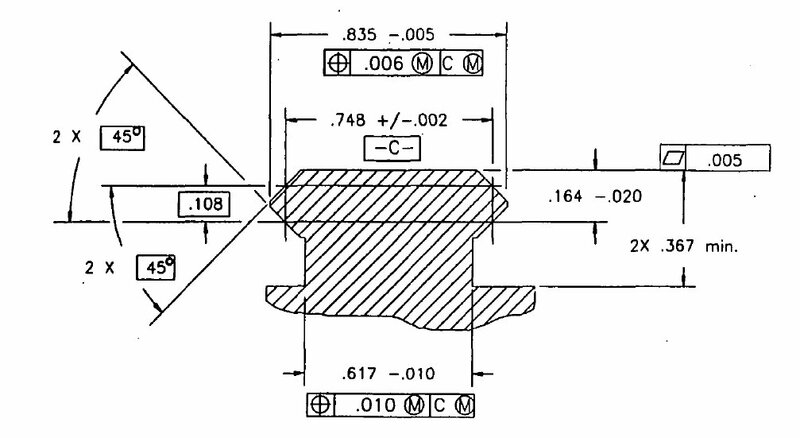 Here we can see the portion of MIL-STD-1913 that defines the profile of the rail.